IC Arizona: ICYMI - Kimberly Yee: "Senator Biggs doesn't retaliate"
ICYMI - Kimberly Yee: "Senator Biggs doesn't retaliate"
I was recently made aware of an on-the-record interview which painted an unflattering picture of Senate President Andy Biggs’ supposed lack of leadership and retaliatory actions. I take strong umbrage with these mischaracterizations about my colleague, and I would like to set the record straight. 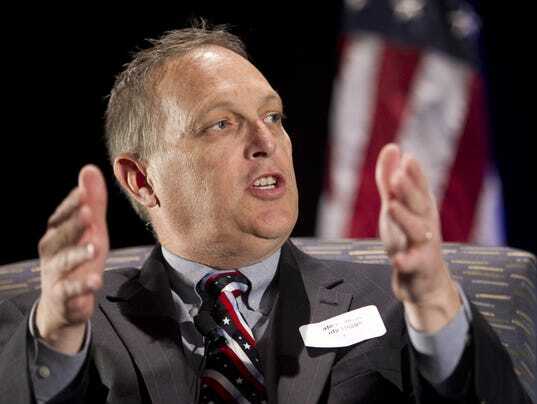 It is well known that Andy Biggs is one of the most professional legislators in Arizona. He has never been known to retaliate against anyone. He also goes above and beyond to ensure that his door is open for discussion – on any issue, to both parties. Furthermore, Andy Biggs has always respected all opinions – even when facing substantial disagreement. This is why he has garnered so much respect from members of both parties, and is why he was unanimously elected Senate president by his colleagues. Also, I firmly believe that he has been uniquely gifted with leadership abilities that have had a tremendous benefit to Arizona for the past decade. The Andy Biggs-led Senate has been an example for future Capitol leaders to emulate, and his leadership at the Arizona Legislature will be sorely missed. Comments attacking Andy Biggs have no basis. I wish him nothing but the best in his next endeavors.